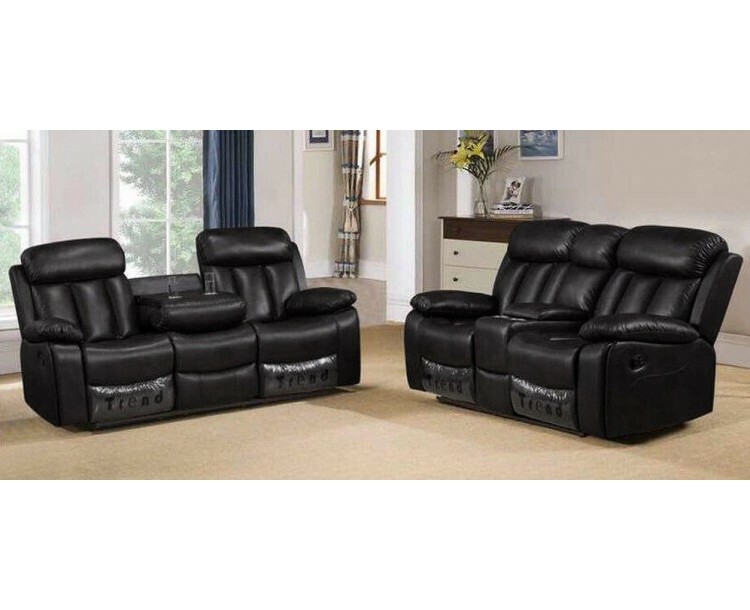 Our Milano 3+2 Seater Black Bonded Leather Recliner Sofa Set is the perfect addition for your living room. 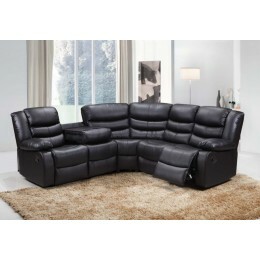 This set comes in durable yet comfortable Black bonded leather. 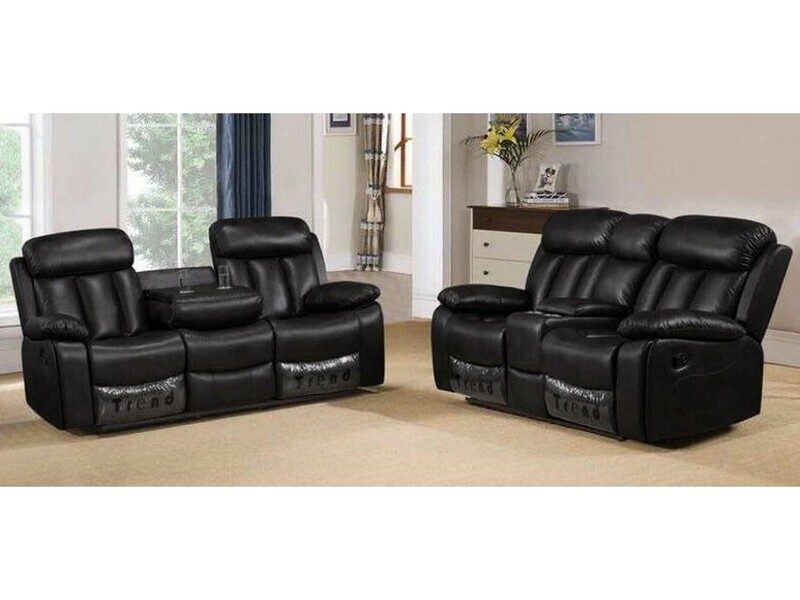 Paired with the foam filling used this set allows you to relax, and the reclining actions allow you to lounge around in style. 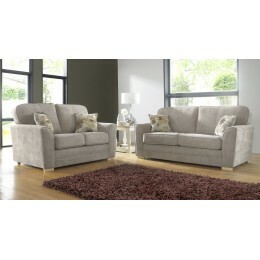 This suite also offers a pull-down drinks holder in the centre back piece of the 3 seater sofa which can also be used as an armrest. 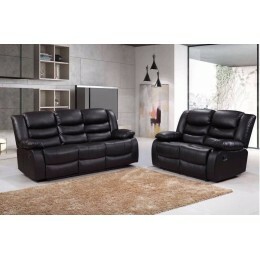 Romero 3 and 2 Seater Black ..
Roma Leather Corner Sofa Sui..
Keira Fabric 3+2 Seat Deep F..